Sevcon has driven efficiency into its equipment testing regimes by standardising TorqSense transducers from Sensor Technology of Banbury. Now, six years later, the whole market is very different. It's truly global and there seems to be no limit to the kind of vehicles that can be 'electrified'. Sevcon's latest GEN5 on-road electric motor controller is the result of a collaborative High Torque Density Switched Reluctance Drive System R&D project, with commercial and academic partners. Sevcon's Howard Slater says: "In 2011 we focused on bus and truck applications. We've since found that many different vehicles need similar levels of power. That's a huge market that didn't exist when we started. Last year we added 25 new jobs in R&D alone and engineering staff numbers have doubled in less than three years. As well as developing this cutting-edge technology and winning business in a hyper competitive market, Sevcon has to ensure its internal management systems are reliable, efficient and flexible. One of the ways it has done this is by standardising Sensor Technology's TorqSense as the core component in its controller test rigs. In essence, a Sevcon controller is designed to vary the power or torque produced by an electric vehicle's drive motor. In tests a controller is paired with a motor and run for an extensive period, from one hour to 26 weeks, to check the complete speed and performance range over time. 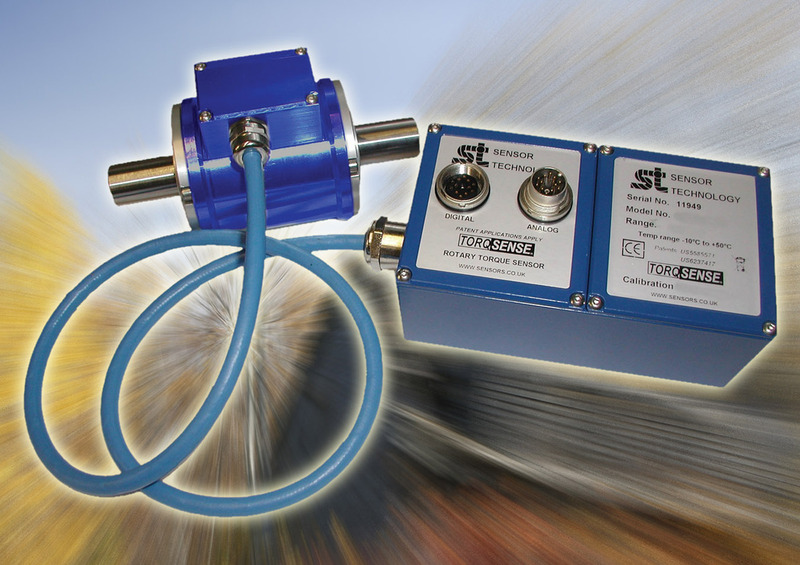 TorqSense is a wireless sensor, which is not physically connected to the test motor's shaft by slip rings. Instead, it monitors the torque via radio waves. "The procedure to set up the TorqSense is very simple and takes only moments," says Mark Ingham of Sensor Technology. Solutions using other technologies would probably take several hours to set up. "TorqSense has an enormous overload capacity, which enables it to cope with robust and demanding test cycles, while its digital output signal can be fed straight into a computer program for instant analysis." Howard again: "We use TorqSense on four continents. We have a number of test rigs, each dedicated to a particular task. While it would be easy to swap a TorqSense from one rig to another, we in fact don't do that but follow a minimum disturbance routine so that we don't upset rig alignments and can thus quickly and efficiently carry out multi-test regimes. All of our test staff, from technicians to technical directors, right around the world, are fully trained on TorqSense. This means they can replicate each others tests and if a person visits another site they instantly understand the local tests and experiments. "Our world-leading electric drive train expertise has put us in a strong position to capture a large share of the growing global, on-road electrification market. The company also has development and manufacturing sites in China, the US and Canada, along with a new R&D centre in Oxford and headquarters in Gateshead. Turnover is currently running at over Â£35m (US$50m). It has recently secured several major contracts, including a Â£28m project with a British supercar company.